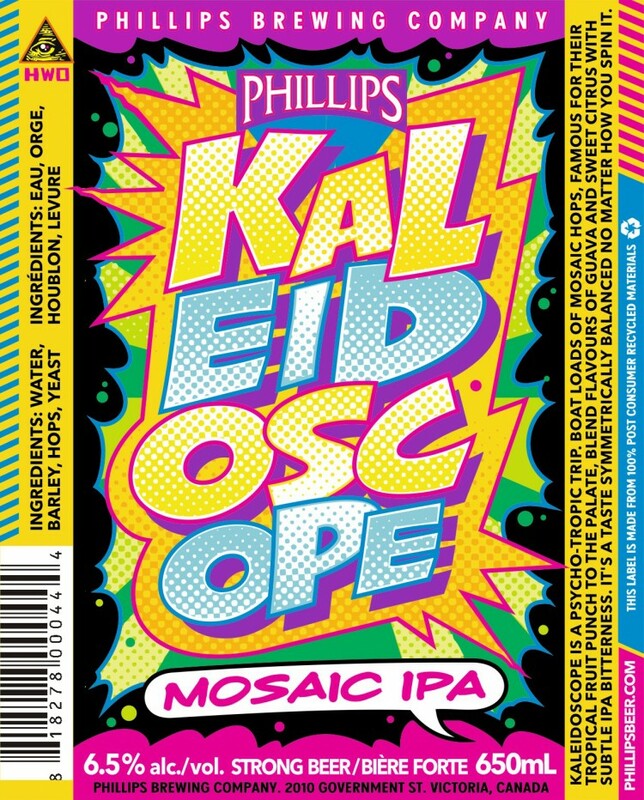 From Phillips Brewing out of Victoria BC’s comes the “Kaleidoscope Mosaic IPA” using the new Mosaic hops. The beer pours a copper colour with an explosive off white head. The aroma consists of pine fruit and floral hops. The flavour was of pine, big hops bitterness, tropical fruits and citrus. There is a definite Mosaic hops flavour profile to this beer. The alcohol content comes in at 6.5%. 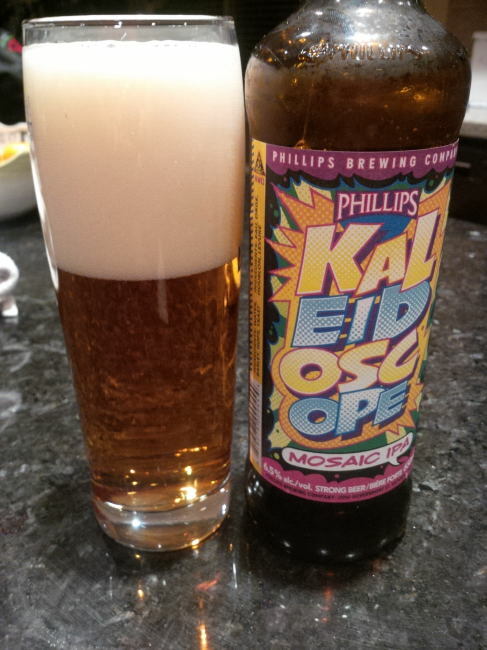 This is a great foray into a Mosaic hopped India Pale Ale with a ton of flavour. Commercial Description: Just because you don’t live in a tropical paradise doesn’t mean your IPA shouldn’t taste like one! Boat loads of mosaic hops, famous for their hop-tropic punch to the palate, really shine in this seasonal IPA featuring flavours of guava and mango. Subtle IPA bitterness keeps everything fresh for a tasting experience that’s symmetrically balanced any way you spin it. Don’t linger on your hammock too long before picking one up as this seasonal release is only available at craft-focused private liquor stores for a limited time. This entry was posted in India Pale Ale and tagged bc, bitter, bitterness, canada, citrus, fruit, fruity, hops, hopy, india pale ale, IPA, mosaic, mosaic hops, phillips brewing, tropical fruit, tropical fruits, victoria.